The Lagonda LG45R Rapide is the cream of the ’30’s sports racing cars, a classic look and amazing performance, even by our standards today. Recently sold at auction at Bonhams Goodwood Revival Sale, a superb model, one of only two built, with a historic competition history, the famous Lagonda LG45R Rapide Sports Racing Two-Seater, or ‘EPE 97’ as it’s popularly known, set a new world record. Perhaps the best of a breed, this car represented a unique opportunity, all you needed was £1,569,500. One of the most visibly recognisable pre-war sports racing cars. Geoff Seaton called it ‘the most famous Lagonda of all’. An automotive icon, a ‘all rounder’, the car has immense appeal. The Rapide is fast, comfortable and straightforward to drive. Introduced in 1935, the 4½-litre Rapide and the 3½-litre both shared the same shorter, lighter chassis frame . 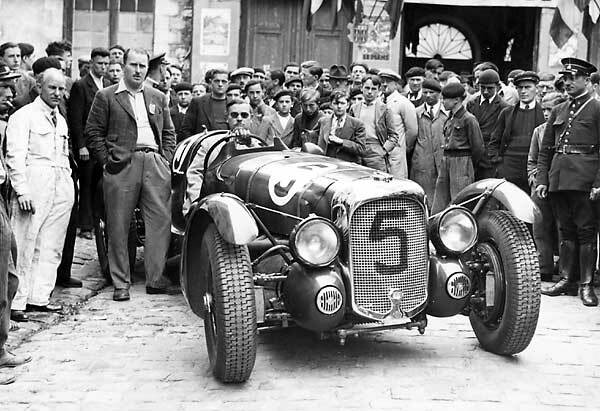 For the 1936 season four competition cars were built, two four-seaters, two-seaters This a one of the two surviving two-seaters. 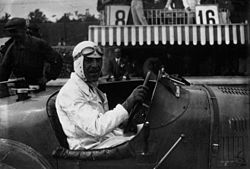 Le Mans 24-Hour 1937 Retired – Charles Brackenbury – John Hindmarsh. RAC Tourist Trophy – Donnington Park August 1937 Retired Driven by Charlie Brackenbury and C.E.C. ‘Charlie’ Martin.